Bailey Dailies: We Went Where??? Yep...to Oregon, of all places!! Any time I told people where we were headed, the responded with "Really? Why?" Why not, I say. You know Forrest and I love to travel and after our last trip to California we talked about one day doing the Pacific Northwest. We had heard that the scenery was beautiful and it seemed like it would be a lovey trip. I was right! It is lovely in Oregon, although a bit dreary. I did enjoy that all of the trees were "Christmas" trees! SO, all that being said, when Julie and Lance told us there was an opportunity to visit a dental equipment company in Portland, we jumped right on it!! We headed out Thursday after a very very busy week. I had hosted book club on Tuesday night (which is ALWAYS fun) and we were so busy getting the house ready for that, we really didn't start getting ready for the trip until Wednesday. 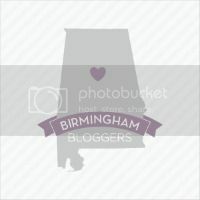 We flew from Birmingham to ATL (my least favorite flight, but sometimes it makes the trip cheaper--crazy!) and once in the ATL airport, Julie had a restaurant all picked out for us: One Flew South. It was in the E terminal so we did have to take the tram away from our gate to find it, but oh, it was totally worth it. When you think of airport food, I always think of Panda Express, or some fast food place, or even a TGIFridays (now don't get me wrong, I love love love those places too). This surpassed the relatively low expectations I have for airport eating by leaps and bounds, PLUS, they were really fast. When we got to the door, they hostess asked us how much time we had: my dream come true!!! As we were in line to board our flight to Portland, people started coming OFF the plane. Apparently, there was a problem with the landing gear and we had to get a new plane. This freaked me out but when I heard we got a new plane, I felt much better about the ensuing 5 and 1/2 hr flight. When we arrived in Portland, we were picked up by a limo and taken to the Century hotel. We were SO tired so we ended up just calling it a night to prepare for the next day! Friday was the big day in the ADEC equipment facility. OMG--who knew there was so much to know about building dental stuff? My mind was literally blown. Now, I am no engineer nor can I build things so I didn't really "get" what they were talking about, but I totally could appreciate all of the work that went into these things and the care that was taken with each product. Plus, the facility was ridiculously clean!!! After a quick lunch, we went back to ADEC to visit the showroom. Oh what fun. My job was to be the patient and to try out all of the chairs. I got to lay down and ride up and down in those chairs all afternoon! I have to say I did my job pretty well!! That night we were ecstatic to get to eat at Pok Pok, a well known Thai restaurant in Portland. The chef has won several awards and the restaurant was written up in Bon Apetit magazine so we really really wanted to go. They serve the food family style and none of us really knew what to order, so we let the waiter order for us! Everything was totally amazing, just as we expected!! We told the waiter that we had come all the way from Alabama to eat there and his response was "Oh, I hope it's good." Well waiter, it was. So excited to be at Pok Pok! Julie and I definitely did not dress "Portland" so we stuck out! "There's a whole lotta chicken goin on"
After dinner we went to the place I was most excited about visiting: Voodoo Doughnuts. I knew literally only one thing about Portland before I went there, and that was Voodoo Doughnuts. (I clearly watch way too much uneducational tv). The place did not disappoint. We bought several doughnuts and took them back to the hotel to split. I took pics of them all, but unfortunately, there was one that was risque, so I can't post pics of all of them. Or maybe one day I can figure out how to blur stuff---hmmm. The orange one is Mango Tango (maybe my fave), then there are 2 jam filled voodoo dolls with pretzle sticks, and then the big one has something to do with Memphis. Maple Bacon doughnut, their specialty. We actually could see them cooking up the bacon while we waited in line. On Saturday we headed back to the showroom for one last look and then we were off to lunch at Dundee Bistro. I hear bistro, I think sandwiches, so after such a terrific dinner, I didn't have high hopes for lunch. Well, having low expectations seems to work for me, because I was really surprised at this place. Everything was really delicious, as was the Adelsheim wine. (Ok, so note we had wine at lunch). Excellent chicken and pancetta risotto! After lunch we began our day of winery touring and tasting. Last time Forrest and I went wine tasting we were in Napa and were not impressed. The sips were small and expensive and people seemed really snotty. Well, Oregon wine tasting was fantastic. People were super nice and we actually got more than a sip of wine (actually, a problem in the end). We started the trip at Stoller, but weren't really impressed with the tasting. The views were great though, so we got some amazing pics. Sadly, they aren't on my camera so I will have to post those later! Disappointed but not discouraged, we went to Alexana. As Julie said, this was like wine tasting in Twilight! Now, I didn't get into Twilight, although I did like the way the vampires climbed the trees. The house was amazing, the scenery breathtaking, and the whole experience was totally romantic and fun. I particularly enjoyed the winery cat, LaTosh. Everything was covered in moss, I assume because it is so damp there. I knew my mom would want to see these funky trees. We could have stayed there all afternoon, drinking in our surroundings (literally and figuratively) but we had an appointment at Solena for a tour and tasting that included chocolate pairings which I for one didn't want to miss. It was very cool to see the wine barrels and everything else that goes along with the process of wine making. At this winery, you could buy into it and even get your own wine label! How cool!! Next we were on our way to Adelsheim, the winery that our bottle at lunch came from. When we got there, the sign said it was closed, but Forrest managed to talk them into to letting us have just one taste, since we had come all the way from Alabama (that trick worked everywhere), and so they obliged us with one good taste of their excellent pinot noir. By this time I was DONE with wine and I think everyone else was too. We went back to the hotel to get ready for dinner (meaning we all took naps, and were rewarded with a wake up call from the fire alarm). Julie and Lance decided to pass on dinner but Forrest and I were still up and at 'em so we met up with his classmate Timothy, who was also there for the equipment tour. We ate at a wonderful Italian restaurant that I can't remember the name of. They had delicious tiramisu and Italian cake!!! The waiter said the lasagna would be better than any Italian grandmother's. I have to say, while this was good, my Mimi's is much better! The next morning Forrest and I went to Mass at Resurrection Catholic Church, where the views were incredible! Then, it was back home, after a quick stop in the Minneapolis airport (where that senator was arrested a few years back, haha). Me and Julie in the limo on the way to the airport. We were excited to get home, especially since her baby Henry started walking while we were away! The weekend was a GREAT success and I would highly recommend a trip to Portland to anyone. I could have stayed there a whole week, I think, with one day of wineries, a couple of days to explore the city, a day or two at the coast, and a drive through the redwoods (I think that redwood that you can drive through is in Oregon, actually). You could even do Portland and then maybe drive up the coast to Seattle. That sounds like a fun fun trip to me. The wheels in my head are turning already!! It was so true. For real.